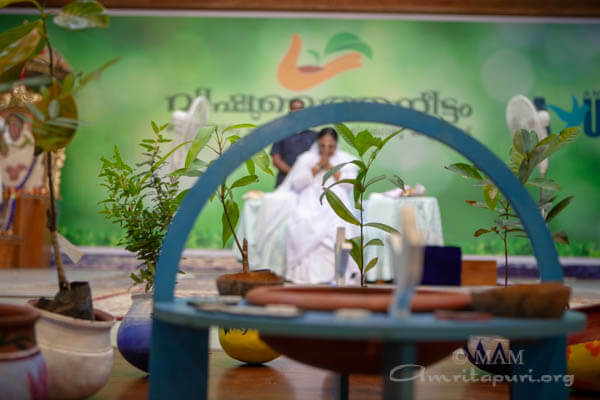 Upon the Vishuthaineettam campaign’s fifth year, a new facet “മുറ്റത്തൊരു പഴത്തോപ്പ് മുകളിലൊരു കിളിക്കൂട് Muttathoru Pazhathopp, Mukaliloru Kilikkootu—“An Orchard in the Yard, a Birdhouse in the Treetop” was launched by Amma in Amritapuri Ashram on Saturday. 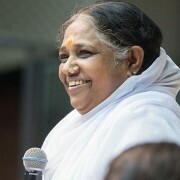 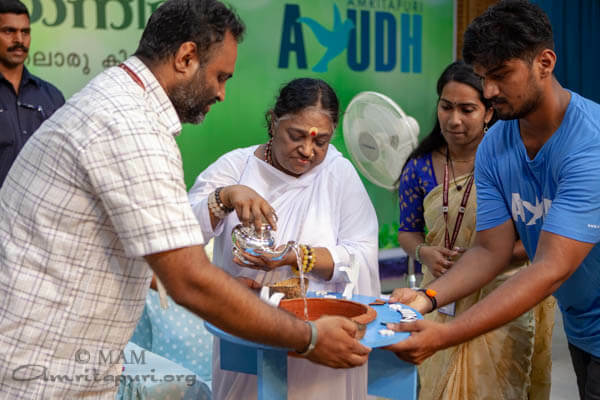 Speaking about the importance of setting up birdhouses and feeders, Amma said, “On the plank, leave some water for the birds to drink and a handful of grain. 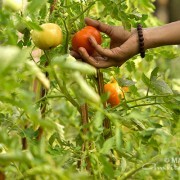 In the heat of the summer, let the birds come and drink the water and eat the grain. 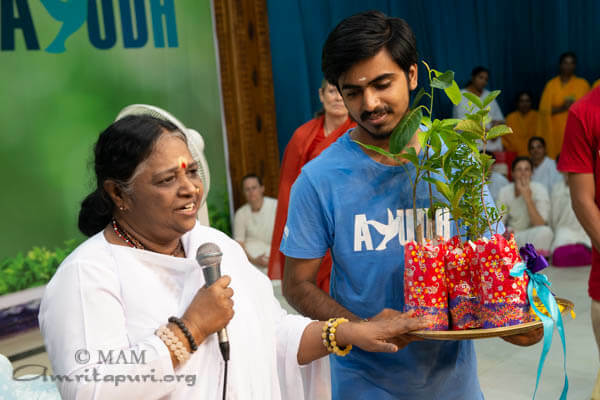 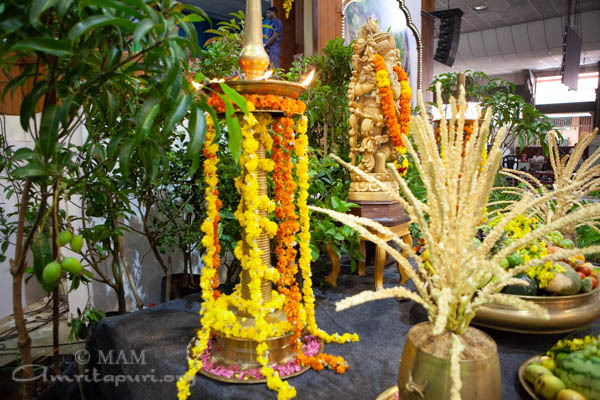 Whether you are a university student or schoolchild, it is Amma’s dream and desire that all of you take part in this new initiative.” Amma launched these new projects by handing over the saplings and bird feeders to the AYUDH members at an event held today, just before Darshan. 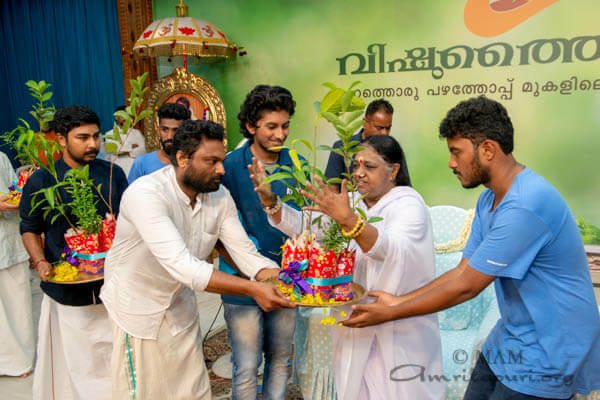 The campaign pushes to infuse the Vishu with a new green tradition: Elders gifting children not only Vishukaineettam—pocket change—but also Vishuthaineettam—saplings. 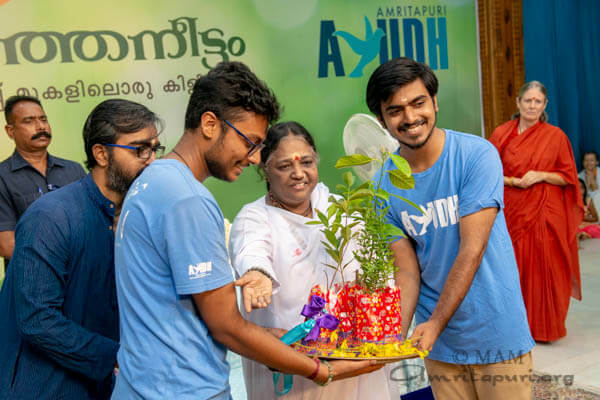 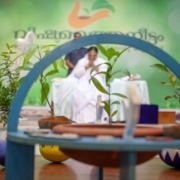 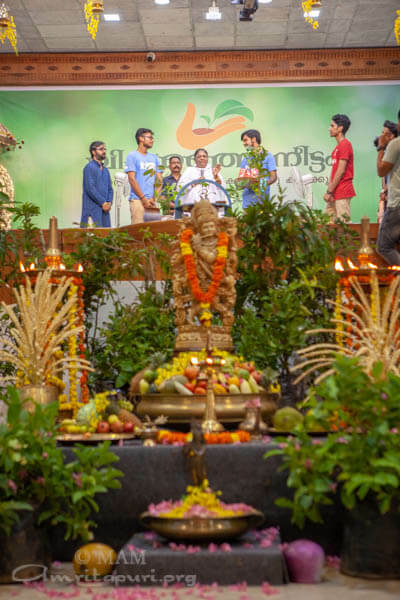 During the last five years, AYUDH volunteers have distributed more than 3.5 lakh saplings in Kerala through 230 Vishuthaineettam events, conducted in all 14 districts. 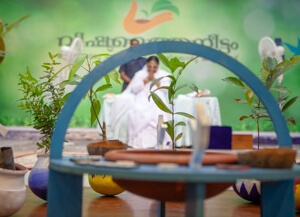 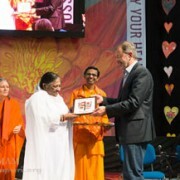 And since 2000, the Mata Amritanandamayi Math has planted more than 10 lakh trees as part of the United Nation’s Billion Tree Campaign.